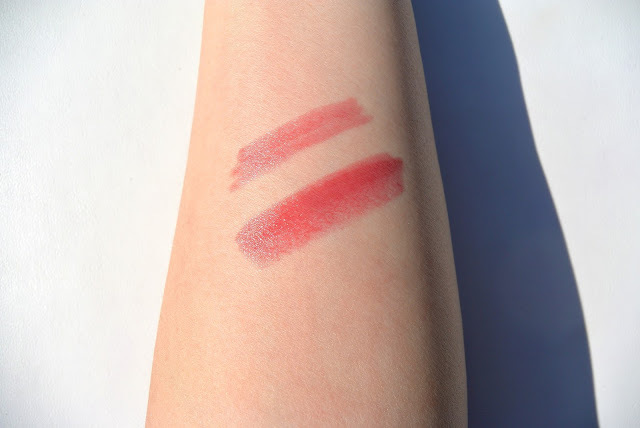 Chubby sticks, one of my favourite lipstick products. Easy to use, practical to take with you when you go somewhere, and availale in a lot of brands. 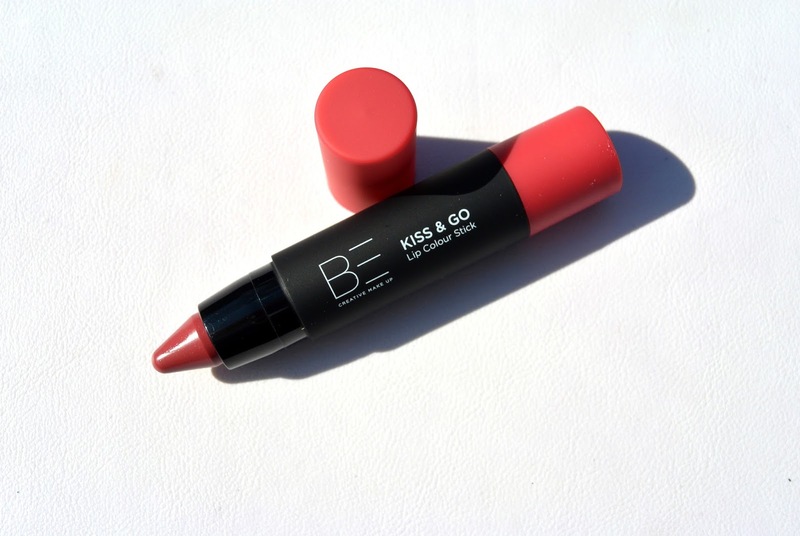 Today I will show you the Kiss&Go lip colour stick by BE creative makeup. As you know by reading my previous posts, BE creative makeup is a brand that keeps an eye on the quality of their products, and that is why I love them so much. The Kiss&Go lip colour sticks are available in 5 different shades. I bought '002 - Rosebud'. 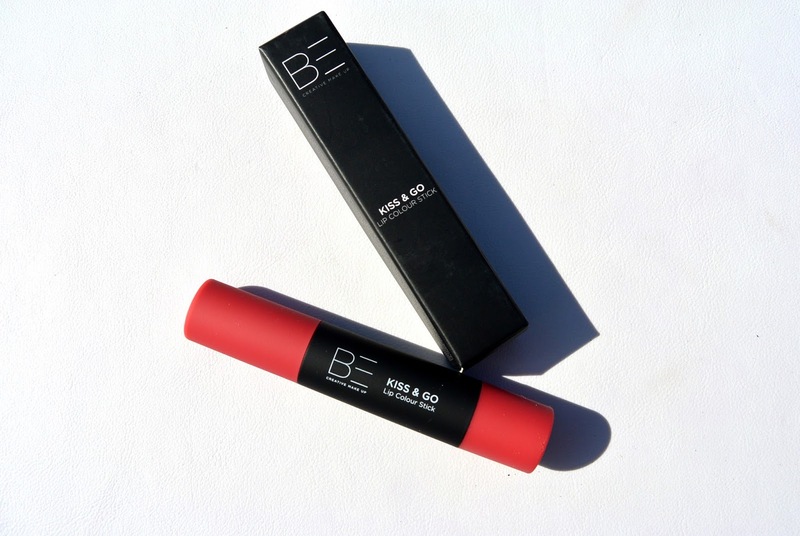 The BE creative makeup Kiss&Go lip colour sticks are a lipstick and lipliner al-in-one. What I also like about these lip colour sticks, is that you can build up to color as intense as you'd like. The upper swatch is just one strike of the stick. The bottom swatch are two strikes applied on eachother. Which lip product is your favourite? Wat een prachtig kleurtje, zo een goede pigmentatie. This shade looks very pretty! Oh, this is a very good red shade! Love the lipstick! Such a great color! I've never heard of this brand but the shade is gorgeous! Happy weekend, doll. Wow! This lipstick looks great! Love the color!